When I first moved to Portugal, I was nervous about driving here. Portuguese drivers have a bad reputation plus I hadn’t driven for years and never on the right hand side of the road. Now it makes sense that a friend of mine recommended I looked into the best website to compare auto insurance rates before I started driving around the streets of Portugal. Insurance is a legal requirement for any driver, but with what can happen on the roads, it is best to be safe than sorry. Even so, I was determined to get a car so that I could take road trips around the country and quickly got used to the oddities of driving in Portugal. If you’re considering buying or renting a car in Portugal, read on for practical driving tips that should prepare you for driving on Portuguese roads calmly and confidently. 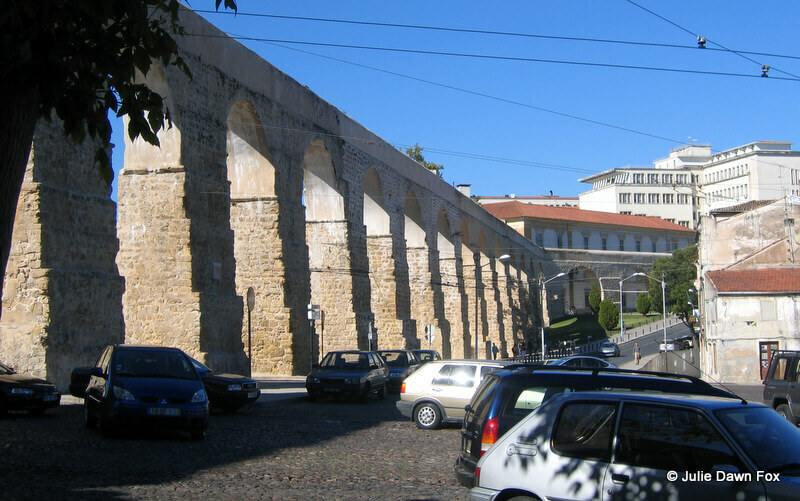 A particularly tricky roundabout in Coimbra with exits in the arches and cars parked where they shouldn’t be. 1. Slip roads on and off dual carriageways are sometimes the wrong way around, which means that while you’re busy slowing down and indicating to pull off, new cars will be trying to enter the flow of traffic. I’m dumbfounded by the logic of this; any sane road designer would surely let existing drivers leave the road before adding more vehicles to the mix. This crazy situation isn’t standard but I’ve encountered it enough times to feel the need to warn you. 2. Slip roads are usually very short, meaning you need to slow down before you exit the main road to be able to negotiate the tight bends. 3. The use of indicators has never really caught on in Portugal so by all means use them as you would normally, just don’t expect anyone else to. Drivers will often stop in the middle of the road without warning so be prepared to slam on the brakes and wait for them to turn off. 4. No matter how hard you look for signs, you will probably find that they disappear on you just when you need them most. Or they will only become visible after you have passed the roundabout exit. Try to stay calm and be prepared to do full circles of roundabouts when in unfamiliar territory. Better still, use GPS, whether that’s a satnav device you bring with you or rent with the car, or an app on your phone. Note: Google Maps Navigation is usually pretty good but the GPS signal can and does cut out sometimes. I find it helpful to have a paper road mapas backup and to get the bigger picture when route planning. The 2018 Spain and Portugal Michelin Road Map may be overkill for a short break but if you plan on doing a lot of driving in either of these countries, it’s the best map on the market. If you are going to be driving in just one specific region of Portugal, look out for Turinta maps in BP petrol stations and Bertrand bookstores. 5. If you are relying on road signs, be aware that at night, many of them don’t show up in the dark unless you shine full beam headlights on them. 6. In rural areas, don’t be surprised to find a car stopped in the middle of the road and the occupants catching up with local gossip. They will usually wrap up their conversation and drive off when they see you, but may need a little encouragement in the form of a gentle beep. 7. Another rural practice, especially in villages with single track roads, is for people to stop the car in the middle of the road and leave it there while they visit friends or family, even if there is a proper space to park a bit further up the road. If your path is blocked by an abandoned car, honk loudly and someone will come out and move it so that you can pass then return it to its previous spot. 8. Just because you would normally wait for a gap in the traffic before pulling out, you can’t expect that from everyone else. It’s not uncommon to be forced to slow down because someone has pulled out in front of you rather than wait for you to pass. 9. Another symptom of impatient drivers in Portugal is the tendency to ride your bumper. There’s often little respect for safe stopping distances and some drivers seem to think that they can drive through you. I find it extremely stressful but the only thing you can do is to continue driving safely and try your best to ignore them. 10. If you have got a tail hugger, they won’t hang around for long. At the first dotted line in the road (see #11), they’ll be off like a shot, overtaking you and six other cars on a blind bend. It’s scary stuff so I usually pull back a little to a) give myself extra stopping time if there is a crash or b) let them duck back in before they hit the oncoming truck. 11. Unbroken white lines are not to be crossed, especially not double ones, which means that if you want to turn left onto a road with double white lines, you can’t. You have to turn right into the direction of traffic and use the next roundabout to change direction. If you ignore this rule and turn left, you will be strongly tutted at by local pedestrians or fined by the police. 12. A lot of white lines on secondary roads desperately need repainting and it’s difficult to work out where the middle of the road is when you’re driving in the dark, especially when it’s raining. Go slowly. 13. Some local authorities seem to invest lots of money on building unnecessary roundabouts and none on pavements, which means that pedestrians are often forced to walk in the road. Some do it through choice. Either way, as a driver, you should be on the look out for people in unexpected places, especially during the annual pilgrimage to Fatima when groups of walkers take to the highways. 14. Zebra crossings are often on junctions, which means that you have very little time to register their existence and react if someone is trying to cross the road. 15. Speed limits are frequently ignored, except when the speed traffic lights are working properly. They operate on a sensor which is usually a few metres in front of the traffic lights so if you see flashing orange lights, you should make sure you’re doing no more than the speed limit as you pass them otherwise the traffic lights will turn red. Even if you manage to slow down in time, the lights could be triggered by someone speeding behind you, in which case you’ll just have to resign yourself to the wait. 16. Despite appearances, it’s illegal to use a mobile phone while driving unless it’s hands free. Stopping your car in the middle of the road to take a call isn’t an option either, although many people don’t seem to realise this. 17. And although locals often use hazard lights as licence to double park, it’s not okay. 18. When you are parking in a street, your car must be parked facing the direction of travel. 19. Larger towns and cities are infested with self-appointed parking ‘helpers’ who will point out and wave you into available spaces, hoping for a tip. I get stressed out by parking in the public gaze so I drive by and try to find somewhere to park in private. If you do use their ‘services’, don’t feel obliged to give them money unless you feel it’s deserved. 20. It’s not unusual to find cars and coaches parked on roundabouts but please don’t join them; it’s not just stupid, it’s illegal. 21. Roundabouts may have lanes but don’t expect anyone to use them properly. Always give way to drivers already on the roundabout, whichever lane they are in and don’t expect the lanes to merge into exits as they do in the UK. You have to actively switch lanes in Portugal otherwise you’ll just end up driving in circles! No one will indicate either so play it safe and only pull out when you are certain that there are no cars to your left. Even if you do see a flashing orange light, it’s best to ignore it and wait to see what the driver actually decides to do. Update for 2014: It’s now illegal to use the outside lane of roundabouts unless you intend to leave at the next exit. In practice, this means you need to be extra careful as not everyone will obey the law. 22. Most of the motorways (‘A’ roads with blue signs) are now toll roads. If you haven’t got a special electronic device fitted to your car, make sure you don’t drive through the ‘Via Verde’ channel as you will be charged for the entire stretch of motorway when you leave because you won’t have a ticket to prove where you entered the toll road. It cost me €50 so don’t let it happen to you! 23. An increasing number of toll roads don’t have toll booths and you are charged as you drive through a metal structure fitted with cameras. To pay these tolls you either need an electronic device or you’ll have to pay at the post office a few days later if you’re driving a Portuguese-registered vehicle. This is not practical if you are only here on holiday. Car rental companies have to offer you the chance to hire a device, which makes the whole thing much easier – more details here. I’d recommend buying your own (from Via Verde or the post office) if you’re moving to Portugal or renting one for extended stays. If you’re driving a foreign-registered vehicle, you can register your credit card details at an Easytoll machine on any motorway coming into the country as you cross the border from Spain. Or buy a prepaid toll card and top it up if needed. Get more information about these options and which roads are affected on the Portugal Tolls website. 24. You need to carry your documents and certain safety equipment with you such as a safety triangle and reflective jackets. There are rules and restrictions about driving with children, e.g. needing a booster seat, so you should read up on all the legal requirements here. Update for 2014 for immigrants: If you haven’t got a Cartão de Cidadão, you’ll need to carry your Contribuinte card with you as well as your ID and the usual paperwork. More information about the 2014 changes can be found here. 25. Not all Portuguese drivers are speed freaks. If there is a line of impatient drivers in front of you on a country road, chances are they’re stuck behind an Aixam. These pesky little cars have the power of a quad bike so can’t go very fast. You don’t even need to pass your Highway Code exam to drive one. Personally, I think they’re a liability. Impatient drivers get fed up of crawling along at 40 kilometres per hour and take even more ridiculous risks in order to get past them and be on their way. If you are patiently waiting for a safe opportunity to pass an Aixam, keep an eye on the drivers behind you who might not wait their turn. 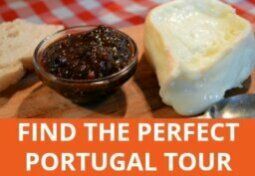 Don’t let this list put you off driving in Portugal! It can be frustrating at times but with patience and practice it soon becomes second nature and it’s worth it to be able to get to places where the buses simply don’t go, at least not at weekends! It’s quite sad to see someone who chose Portugal to live in say so much crap about it. If the country where you came from is so much better, why did you came here in the first place? I am sure there are a lot of crappy drivers yes, but is it different from the country where you come from? is it really?… It’s also quite sad to hear your superior tone as if the Portuguese people were somehow inferior and less educated. If have seen British people behave in ways i have never seen Portuguese people do, (or the spanish, or the french or even the germans for that matter). English folks are the most obnoxious, unmannered and disrespectful people that visit Portugal, so it would be nice of you to refrain from speaking so much crap about the country you chose to live in. It’s quite rude. I have also chosen to live in Portugal, and love every little thing about it, the only thing i am not fond of is the huge amount of people invading this beautiful little country, that has the most good-hearted well intended people i have met in my entire life. And I strongly differ from your observation that the article espouses the superiority of the British folks. Where did this come from? I have been thinking about tour on portugal in very next time. You gave here some tips about driving on portugal. Hope so it will helping for me not only me but also every people who want to go portugal and thinking about driving on there. Thanks for your article and also for giving these useful tips. 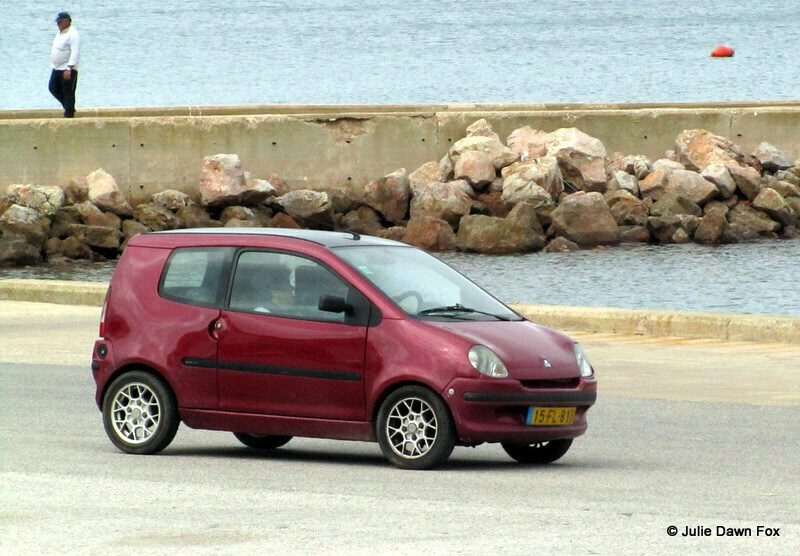 I am driving to Portugal in my Renault which has no spare tyre yet legal requirements state I have to have a spare tyre? The car only comes with a repair kit? A lot of newer cars only have this repair kit – our Fiesta (purchased new from a Ford dealer in Portugal several years ago) was the same. We had a blowout on the motorway, for which the repair kit proved useless, and have since bought a spare tyre but that was no mean feat! I think the requirement must be that you have the means to repair a simple puncture otherwise all these cars that only come with a repair kit would be illegal. A useful website, for which I’m very grateful. Thank you so mutch for all the tips – had a great laugh about the indicators – seems that portugal driving is the same as driving in South africa…..
It’s a straight forward drive from Cascais to Algarve once you’re past the tricky part of navigating the connection from A5 to A2. The A2 Auto-Estrada (freeway) is lightly traveled and it should be a pleasant drive. If you’re already familiar with the toll system, well and good, but be prepared to spend at least 20 plus Euros to cover the distance between Lisbon and Algarve. If you’re able to get a transponder from the car rental company, it will make your life easy. A22 in Algarve has toll gantries all over and with a transponder at least you don’t have to make a special trip to the post office or pay shops to pay your tolls. I am a temporary transplant in the Algarve area and also a multi state resident of Washington and Arizona. I will be in Arizona last week of December, please feel free to message me if you’re interested to meet up. Don’t worry I’m no serial killer..LOL. But you can tell I cant make up my mind where to retire but at this point, I’m heavily leaning in favor of Portugal. I spend at least 180 days a year in Portugal which is my maximum limit based on Schengen rules. 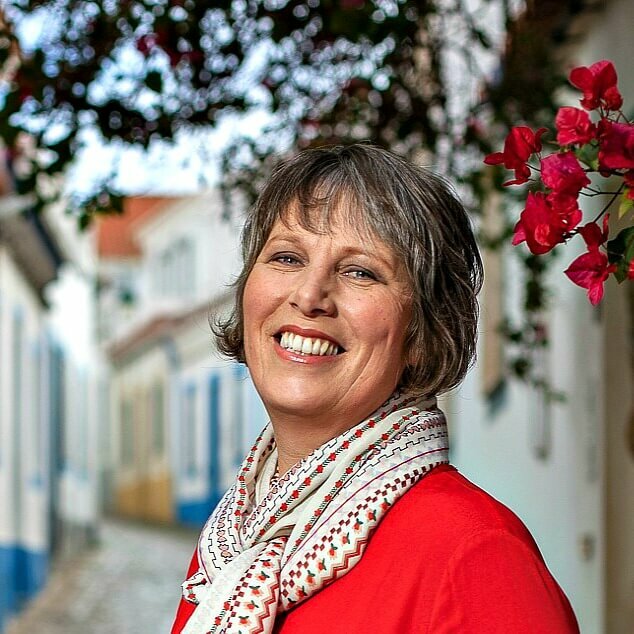 I might be in Portugal in June of 2018 and I sure will be happy to guide you around. Jennifer, I just came back from Portugal last March 11 and in fact I will be in Surprise, AZ middle of this month. Feel free to contact me via email: [email protected] and I can give you my number later. Or you can leave me a message through Facebook, I go by the name Cris Bay. I would highly recommend driving if you want to cover a lot of grounds, especially the Algarve area where local mass transit is a bit of a challenge. The Douro River cruise would be fantastic from what I have heard although I have not experienced it myself. I’m an avid amateur photographer, so far I have crisscrossed Portugal from Porto all the way down to Algarve. There are a lot of good places to visit but to name a few other than Lisbon: Porto, Coimbra, Sintra, Aveiro, Batalha, Alcobaca, Obidos, Fatima, Evora, the whole Algarve, etc. Later Jen! After driving again in Portugal and having our car rear ended by a tail hugger I can tell you I still like driving in Portugal. The accident was very annoying but the police and rental company were smooth enough to deal with and over the course of the week I found driving both a car and a moped to be an absolute pleasure. Only wish driving in the uk were so nice. 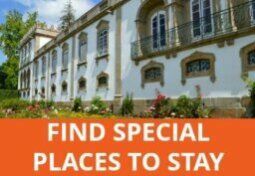 Hi I just wanted to note that we looked into canceling the car and public transportation, but we have been advised that and only the regional trains go directly to Sintra and we can’t buy regional train tickets to Sintra from Porto ahead of time and it is subject to availability. We are going the end of July this year. Do you think it would be difficult to get the train tickets? Hi Lynn, trains run every 20 minutes or so from Lisbon’s Rossio statio to Sintra and the journey takes about 40 minutes. Worst case scenario is that if the train is full, you’ll have to wait for the next one but you should be fine. 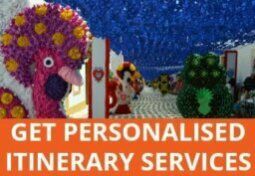 Allow time to buy your ticket unless you have a transport pass of some kind as there may be a queue. Sorry, reread your comment. You can book the intercity part ahead of time (i.e. Porto – Lisbon) if it makes you happier. These trains are strictly seated and they do get full. Earlier on the day of travel is usually okay though so don’t stress if you can’t book online. Hi, We have rented a car to go from Porto to Sintra and then to Lisbon. Do you have any suggestions on the easiest route to drive between these three places? My daughter and I are a bit nervous about leaving Porto and driving to the Lisbon airport. We noticed that for a sum we could get the car delivered and picked up. Would this extra cost be worth the stress relief? I just drove all over Portugal last September. There is no parking what so ever and I wouldnt trust to leave my car in a public lot etc. We stayed at the Pousada de Lisboa right in the center and they had parking but I knew ahead of time it was 27.00 euro a night versus the 50.00 a night if you did it on your own. It was off site but secured. Hi Simon, good point about the parking situation. In cities, don’t count on free street parking. There are long stay car parks but you need to check costs in advance. There are also private car parks, again with varying prices. Small hotels are unlikely to have parking but can tell you what the options are in the area. Another option would be to use airport parking in Lisbon and take the metro into the city. I don’t know whether you use online booking companies like Orbitz, Expedia, etc because most hotels provide information whether parking is available or not, or if it’s offsite. You might find it inconvenient to be traveling around major cities like Porto and Lisbon while driving and hunting for parking at every stop. Leave your car in a safe parking area and use public transportation. Taxi in Lisbon won’t cost you and arm and a leg and generally, drivers are honest. The drive from Faro to Lisbon is a breeze but just make sure you familiarize yourself with the way tolls work. It’s a challenge to some. Goodluck! Great list! I’m thinking about visiting Portugal in summer 2017 and I’m considering driving between some of the cities, e.g. Faro->Lisbon->Portugal. One thing that wasn’t covered in this post or comments was parking as a tourist, i.e. for extended amounts of time like a whole day or multiple days. E.g. if I drive to Lisbon, I won’t want to drive around town while I’m there, I would just want park the car at or near the hotel and leave it there the whole time I’m in town. Any advice? I guess two specific questions are 1) do smaller/ boutique hotels still tend to have parking, or only larger ones? and 2) if your hotel doesn’t have parking, what are your other options? Is there generally street parking where you can park for at least a whole day? Or are public garages a thing? Thanks! Hi, is it illegal to reverse out of a driveway in portugal? Never again we were involved in a horrendous crash, NOT our fault he was coming towards us at speed lost control and smashed into drivers side and back. Breathalyse tourists only , police listened to his stories shaking their hands!! Fortunately someone translated for us they were not interested in the truth. Sorry to hear about your horrific experience, Margaret. I hope you weren’t injured. I’m a former Californian but now a resident of the Pacific Northwest and Arizona. Started driving in Faro (Algrave) about a week ago and quickly adapted to the local style of driving. For the most part except for the tail gaters and speed demons, I find driving here pretty normal. Our interstate freeways have more cars per mile than theirs. Check out google streets to see how their traffic volume is and sometimes you’d find Portugal’s arterial roads with a lot less cars than what you’d see in the US. I drove in Madeira (from California)and we are going back to Portugal this September. Madeira was fine, except for the short freeway exits to the round about, but you learned fast. 😉 I was wondering if I would be able to handle the main land? Hi Nicole, I reckon that if you can handle driving in Madeira, the mainland will be a breeze. Anyone know how long one can park a car or motor home on the side of a street? In Sweden it’s 24 hours. Toll roads. If you live in Portugal you can pay for toll costs online on the portuguese post office site. http://www.ctt.pt. (portagens»metodos de pagamento»pagamento MB»referencia MB). This can also be translated into english). Tolls must be paid within 5 working days of the day of travel. Otherwise you can pay in any post office or Payshop.